Back in October last year it was revealed that kiwi director Taika Waititi would be one of the episode directors for the upcoming live-action Star Wars television series The Mandalorian. 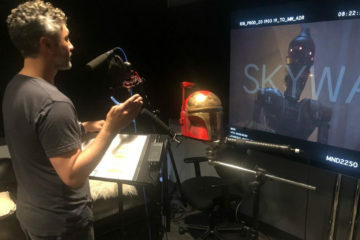 And now, in his signature social media style, show writer and producer Jon Favreau has teased a new image via his Instagram account implying that Taika will lend his voice to a character in the series… possibly IG-88 (or another IG Assassin Droid). 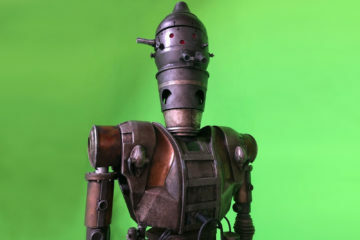 The inclusion of an IG droid was first revealed by Favreau back in December 2018 when he shared an image of the robot against a green-screen backdrop. 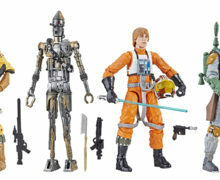 It’s exciting that a prominent kiwi will have roles as director and on screen in The Mandalorian, but I’m also personally ecstatic to see an IG droid within this part of the galaxy, as I loved IG-88’s design in The Empire Strikes Back, and have a bit of a collection focus involving various toys and statue renditions of this character. If it transpires that Taika has actually lent his voice to an upcoming appearance of this killer robot, then that’s fully doubling down on the coolness of this Original Trilogy Easter egg. We can expect to hear a lot more detail about The Mandalorian in a couple of weeks, when a dedicated panel at the Star Wars Celebration convention will undoubtedly share more news, imagery, and hopefully video clips.